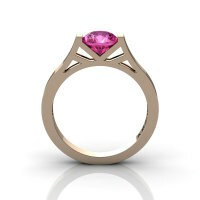 Absolute in design and luxurious in style, the new Modern French Antique 18K White Gold Marquise Pink Sapphire 1.0 CT Round Zirconia Solitaire Ring R90-18KWGCZPS evokes glamour and elegance of Hellenistic period eastern Europe, is sure to please the most discriminating feminine taste. 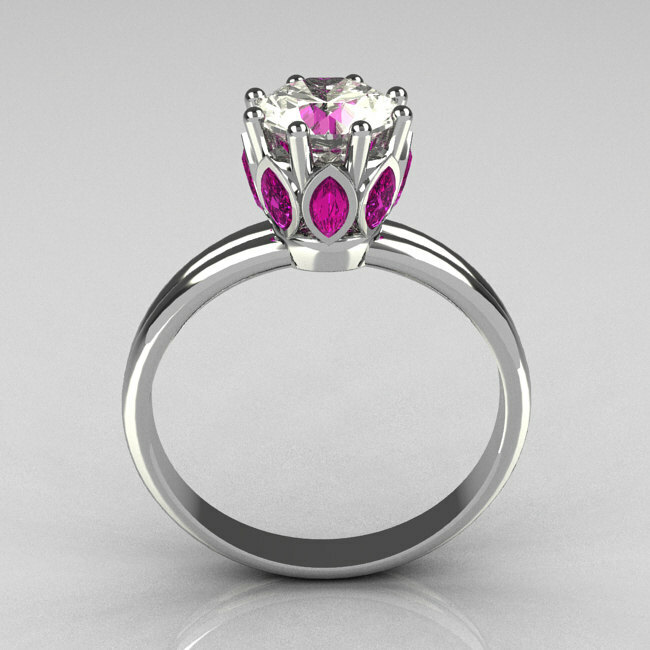 Over 4.0 grams of 18k white gold, 8 x marquise 0.05 carat ( 0.40 CTW) laboratory grown pink sapphire stones and 1 x round 1.0 carat CZ (cubic zirconia) stone bring unmatched value with over 70% in savings towards catalog retail price. 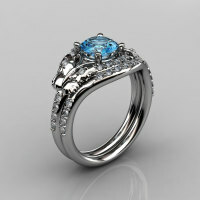 * All jewelry images are professional catalog renderings generated by production imaging computer in 3d and are not real photographs, it’s visual perceptions may differ slightly from monitor type and resolution. 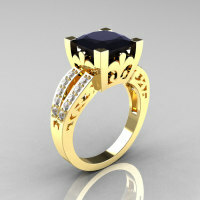 Stone settings in pave or prongs on the actual jewelry products delivered may slightly differ from what you see on the image as it is done by a master hand. 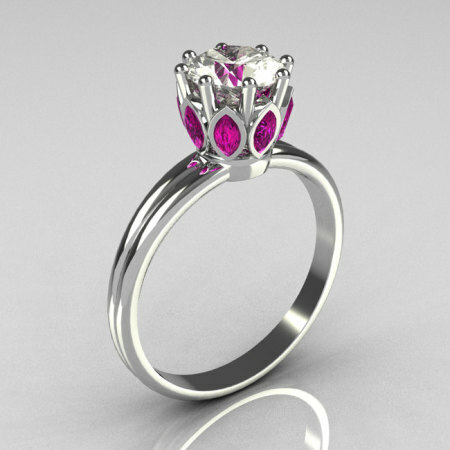 Be the first to review “Modern French Antique 18K White Gold Marquise Pink Sapphire 1.0 CT Round Zirconia Solitaire Ring R90-18KWGCZPS” Click here to cancel reply.